Zinc is vital for maintaining a sense of smell, a healthy immune system, building proteins, triggering enzymes, and creating DNA. Manganese helps in creating healthy bone structure, metabolizing the bones, and in the formation of connective tissues. Legumes refer to a vegetable bunch containing beans, peas, and lentils. Naturally low in fat and containing no cholesterol, legumes contain high levels of potassium, iron and magnesium. 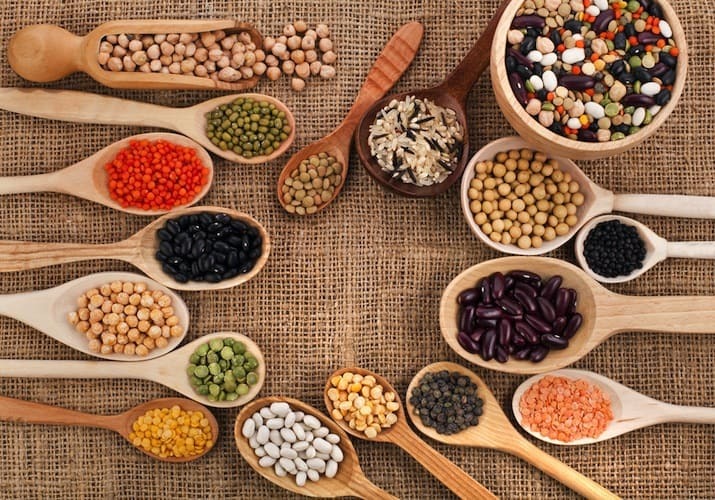 Legumes are economical and healthy to eat as part of a diet. Cheese is a diary product made from pressed milk curds and produced throughout the world. Delicious, nutritious and versatile, it can be used as an addition to other dishes or eaten by itself. Cheese contains a host of minerals like calcium, phosphorus, zinc. Milk and yogurt are other sources of calcium. Meat is known as a good source of protein and contains essential vitamins and minerals like iron, zinc, phosphorus and cobalt. Seafood is also rich in zinc and iron content. Sweet potatoes contain the highest amount of potassium which works to protect blood vessels from oxidative damage and prevents blood vessel walls from thickening. Sweet potatoes also have high levels of manganese and phosphorus. 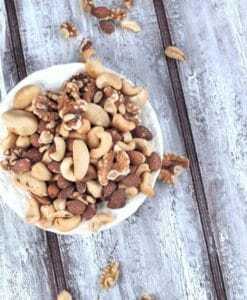 Nuts like cashew, peanuts and almonds have sodium content. This is essential for the body to maintain proper blood pressure and for the supreme functioning of the nervous system by helping transfer of nerve signals. Fun Fact: Cashews and walnuts also contain good amounts of copper and magnesium. 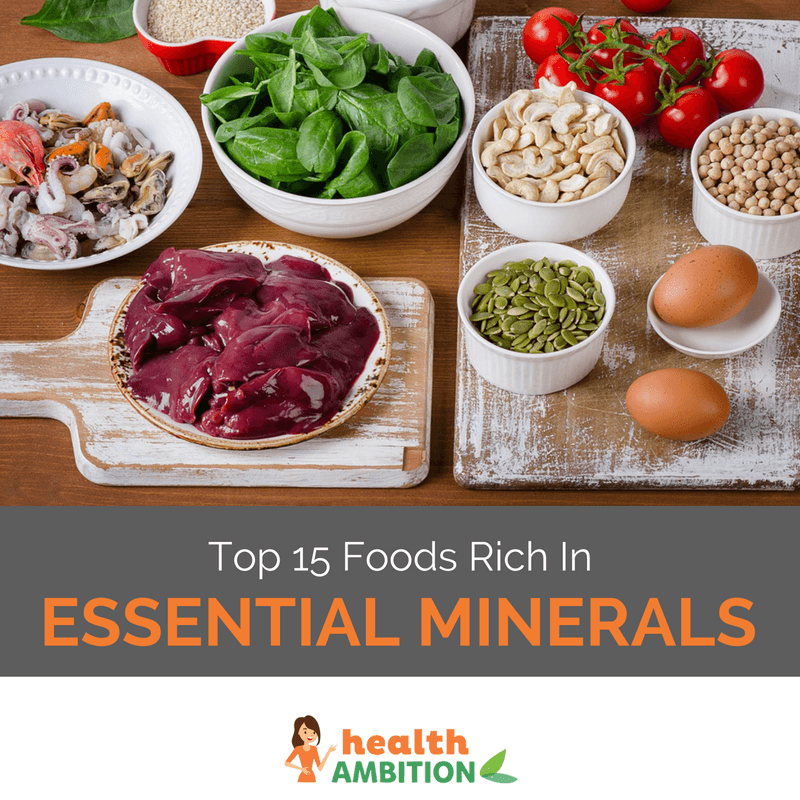 The following video shows why minerals are so important to your body! Sea vegetables like brown algae, kombu/kelp, wakame and arame have rich iodine content as well as minerals such as potassium, zinc, iron and manganese. Celery is consumed around the world as a vegetable perfect for weight loss diets. It is used as flavouring in stews and soups. Celery contains chloride which is an important mineral for keeping the proper balance of body fluids. It is also essential in the stomach for digestion. Summer squash or Zucchini contains high levels of copper, manganese, magnesium, phosphorus amongst other minerals. Whole grains are an essential part of any diet and contain minerals like magnesium and selenium. Selenium protects the cells from oxidation and provides a healthy immune system. Oatmeal, a staple breakfast offers many nutritional benefits by being a source of fiber and essential minerals like phosphorus, potassium and iron. Sweet when ripe and available throughout the year, bananas are a very good source of manganese, potassium and copper. A fundamental food in many parts of the world, rice provides instant energy, regulates bowel movements and slows down the aging process. It contains minerals like magnesium, potassium, phosphorus and zinc. A tropical juicy fruit, pineapples contain minerals like magnesium, manganese copper and potassium. It is excellent for boosting immunity and enzyme production. Cooking and eating mushrooms are an excellent way to have a wide intake of minerals in the body. Potassium, copper, selenium and zinc are the main minerals found in mushrooms. If you liked this article, please consider sharing this post on Facebook and be sure to check out our post about the dangers of antibiotics in the foods we eat. ready, but wow, what a reminder.